Commercial Billy Goat all-hydraulic core aerator. Dependable 13 hp Honda gas engine. Variable speed up to 4.3 mph. 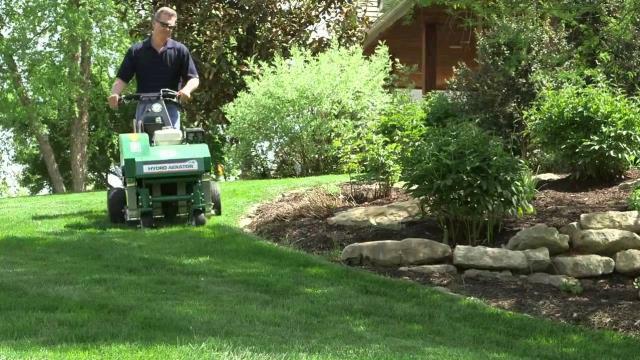 You can potentially aerate up to 1/4 of an acre 15 minutes. Creates 8 to 48 core holes per sq ft depending on travel speed. "In-Ground Turning" offers easy maneuverability, fatigue free operation and improved production. No more lifting on turns! You can aerate in either forward or reverse for good penetration in tight spots. Can do trim and edges with ease. 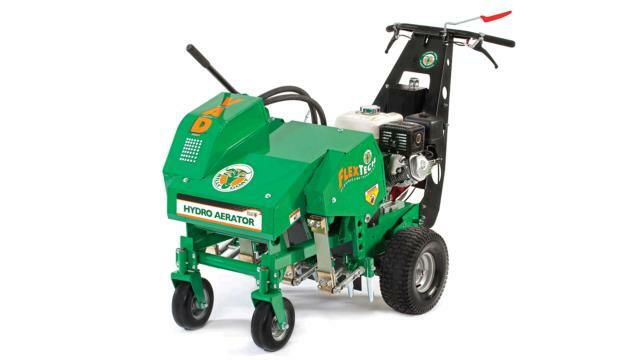 Creates 2 - 10 times more core holes than drum type aerators. Can pass thru a 35" gate. 67" Long x 34.5" Wide x 46" High. 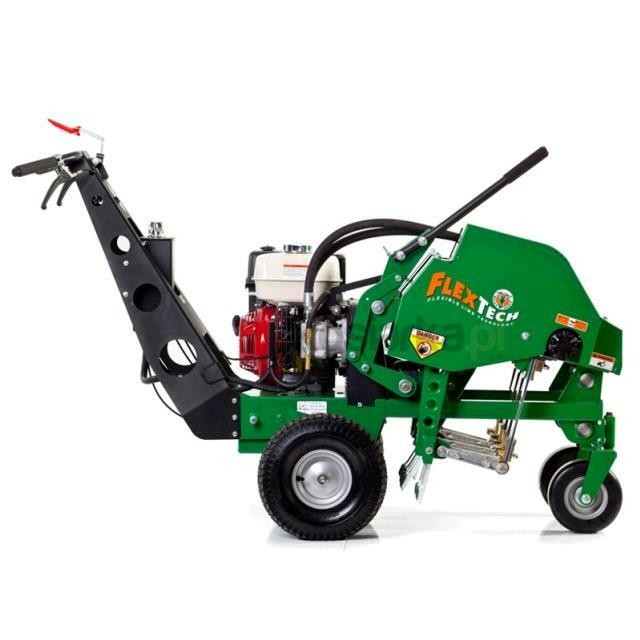 * Please call us with any questions about our aerator 30 inch billy goat self prop rentals in Oak Grove MO, Blue Springs MO, Independence MO, Lexington MO, Odessa MO, Independence MO and Western Missouri.